DESCRIPTION: PTC Computer Solutions was employed as part of the web site development team by REDdot Marketing who was involved in the design of the site. 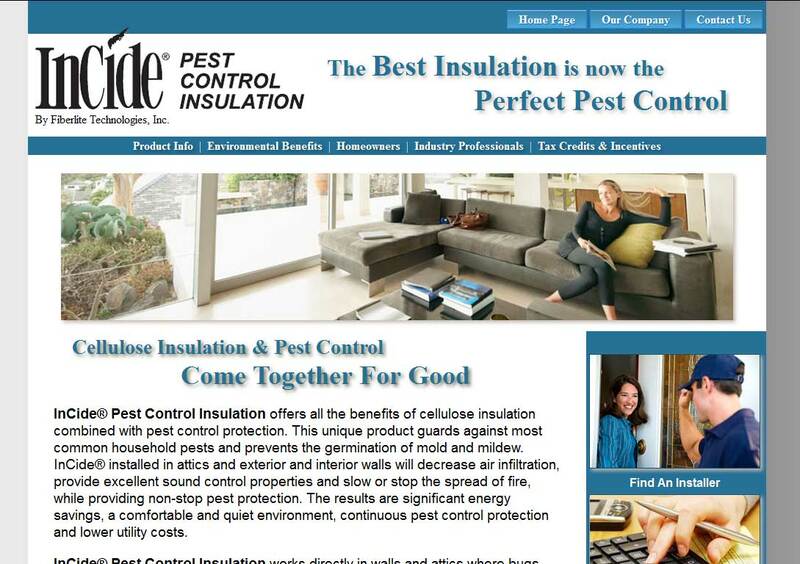 InCide® Pest Control Insulation offers all the benefits of cellulose insulation combined with pest control protection. This unique product guards against most common household pests and prevents the germination of mold and mildew. You can find out more by going directly to their personal website, www.incidepestcontrol.com/, or contact them directly at info@incidepestcontrol.com or (800) 641-4296.